Home - NAGAWORLD 23 Years with you! 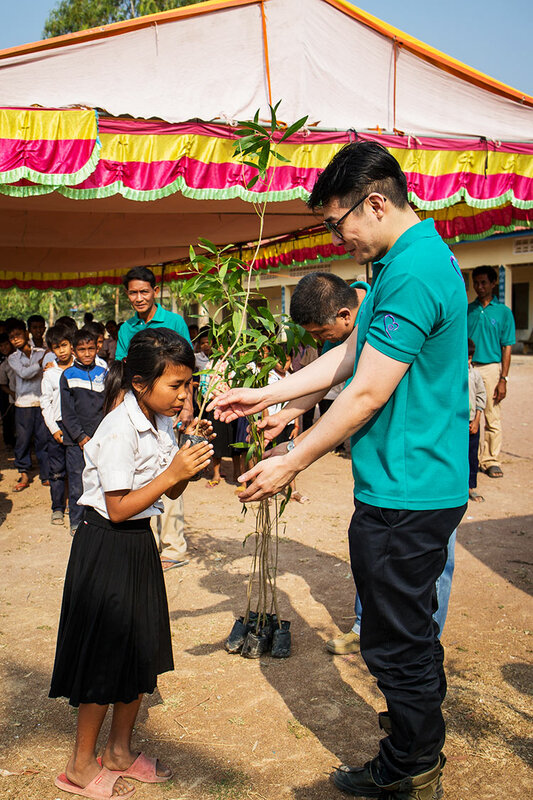 Corporate Social Responsibility (CSR) has become fundamental to NagaWorld’s sustainable strategy in conducting business with a conscience and a long-term view to care for the environment, employees, customers and all stakeholders. 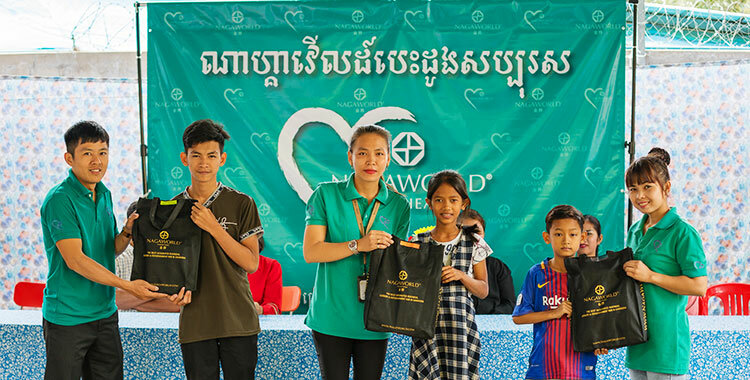 Over the years, the company’s CSR initiative NagaWorld Kind Hearts has implemented a wide range of programmes to the benefit of Cambodia. As NagaWorld founder Tan Sri Dr Chen Lip Keong succinctly puts it: “We try not to build monuments. We build jobs and contribute to socio-economic development.” NagaCorp, the parent company which owns, manages and operates NagaWorld, is one of the biggest employers in Cambodia hiring close to 10,000 people, the majority of which are local. In the field of education, NagaWorld has been contributing generously towards scholarships, providing training programmes and supporting school improvement programmes throughout Cambodia. 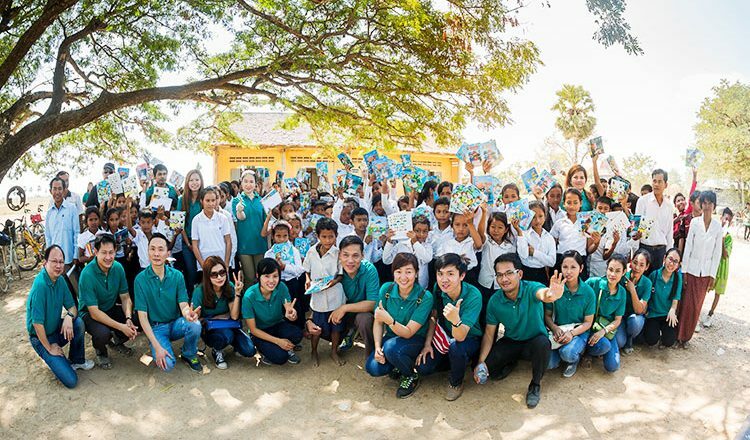 Since 2017, over 600 NagaWorld employees have volunteered a total of 3,542 hours to help distribute educational materials, implement projects that rebuild and improve Cambodian schools and organise competitions to enhance the English language for the benefit of 38,875 students in 130 schools located across eight different provinces. Naga Academy has taught trade skills and languages to thousands of Cambodians since it was set up in November 2012, including conducting over 1 million hours of hospitality training. NagaWorld guarantees jobs for all graduates within its own group of companies or other hospitality establishments. NagaWorld is also well-known for its charitable and social welfare work. 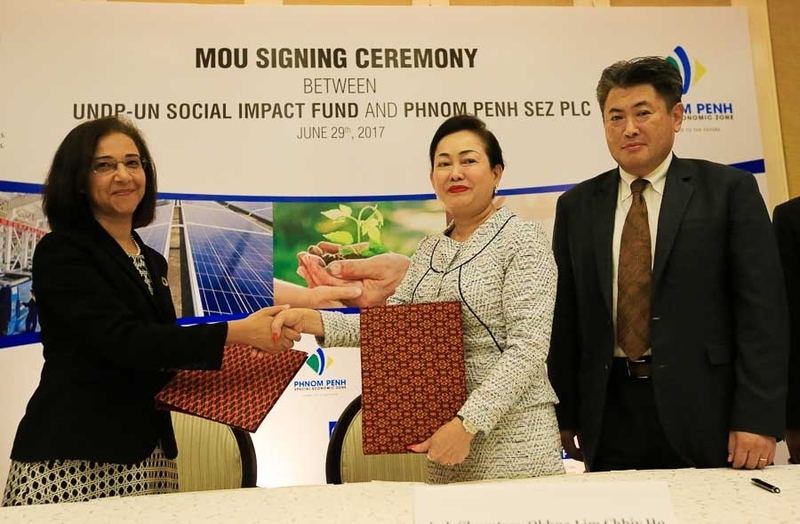 It has been a long-standing donor of the Cambodian Red Cross, which is officially recognised by the Cambodian Government as the primary auxiliary for humanitarian services throughout the country. In the field of sports development, NagaWorld has been working closely with the National Olympic Committee of Cambodia, supporting grassroots and international events including the Southeast Asian Games and One Fighting Championship MMA tournaments, as well as the Football Federation of Cambodia and Cambodian Federation of Rugby. NagaWorld is the main sponsor of the Cambodia tennis squad’s Davis Cup campaigns and has also established the Cambodia Sports Awards, NagaWorld Football Club and supports the preparation of athletes for international competitions. Driving environment sustainability is also embedded strongly as part of NagaWorld’s corporate culture, ensuring business is conducted in a responsible, transparent and sustainable manner. Since 2016, NagaWorld has been certified by the ASEAN Tourism Forum and recognised as ASEAN Green Hotel Standard, which acknowledges efforts to safeguard sustainable tourism through the adoption of environmentally-friendly and energy conservation practices. NagaWorld also embraces the 3R strategy for waste management – Reduce, Reuse and Recycle – and global best practices to promote environmental awareness. As NagaWorld celebrates 23 years of promoting hospitality excellence, it is clear that corporate social responsibility and sustainable development have remained the company’s hallmark as it continues to create and implement more CSR programmes that impact positively on local communities and provide an opportunity for a better future for all Cambodians.